The “M216 X-Y” is the third, and simplest microphone in the M216 series. Like its siblings, it is a dual-capsule tube microphone; it differs in that both capsules have fixed Cardioid pickup patterns. The mic has twin large-diaphragm capsules stacked one atop the other. 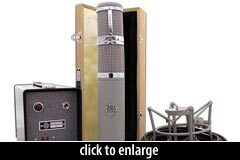 Both are the company’s model TK67, a 32mm center-terminated design modeled after Neumann’s K67 (which was a 34mm capsule). These are believed to be sourced from an overseas supplier. The top capsule and headbasket can be rotated up to 90° with respect to the lower capsule, allowing the mic to capture X-Y stereo images with up to 90° of spread. Note that the M216 Stereo and M216 Matrix offer additional stereo options, due to their use of one or two multipattern capsules (respectively). Each M216 microphone is supplied with a padded wooden storage case, M916 power supply, and a 10-meter Gotham Audio power cable. The mic carries a 4-year limited warranty. 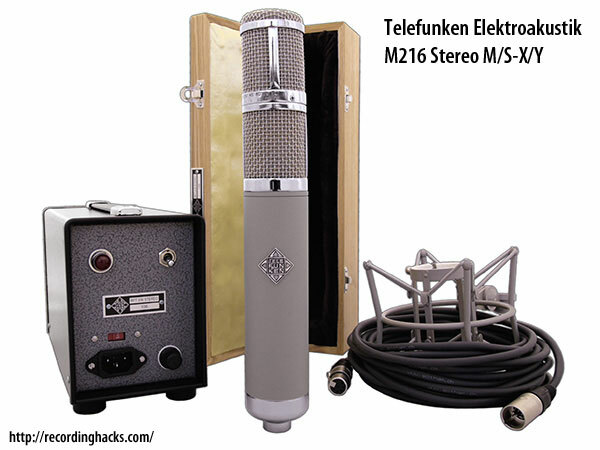 The Telefunken Elektroakustik R-F-T M216 X-Y is also known as: M216 Stereo X-Y.